"Mario and Luigi needs to recuperate from their adventures after saving the Mushroom Kingdom from Bowser and the rest of the Koopas in Super Mario 3. Brothers both agreed that Dinosaur Land, a magical place, is the best place for some vacation. But as Mario and Luigi reclined on the beach taking a relaxing nap, they heard that Princess Toadstool disappeared being seized by some evil forces. After Mario and Luigi searching for hours for their missing friend, they came upon an enormous egg in the forest. Yoshi, a young dinosaur had been popped out as soon as the egg hatched, proceeded to tell Mario and Luigi a sad tale about on how his dinosaur pals were sealed in a similar eggs by a group of monstrous turtles. With a little luck and help from a magic cape, our brave crew can now defeat the seven worlds of Bowser's Krazy Koopa Kritters. Lots of locations are well-hidden, so you must explore everywhere and try everything. But not all locations have to be explored in order to rescue the dinosaurs and save Princess Toadstool. There are lots of starry treasures that can be found in far-reaching places if players will reach into it. In Super Mario World, you will need to search all the areas and excitingly find out what kinds of treasure are in there... in Super Mario World." - Source: This was written by Nintendo and the official story from the games manual. On the SNES version of Super Mario World, two players can be selected, while on the Super Mario Advance 2 GBA Port only one player mode. The character of Luigi becomes thinner sprite in GBA Super Mario Advance 2 compared to SMW on the SNES, same as to that of Luigi in Super Mario Bros. 2 As an alternate, Luigi can be used with different physics in games, to Mario. He can jump higher, but doesn't run as fast. As opposed to be “Super Mario Advance 2” port, Super Mario World was one of the first games to be featured in Nintendo's Virtual Wii console. In this game, a radio can be found in a house in Koopa Village in Paper Mario, the end credits tune from SMW will be played if the player presses play on the Radio. A group composed of 16 people that headed by Shigeru Miyamoto are the people behind this game that was three years in the making. The raccoon leaf from SMB3 was there in place of the Super Feather that we know from SMW during its beta stages, but this was withdrawn shortly just before the release and replaced it with the Super Feather which gave Mario his Cape. Blue, Red, Yellow, Green - in Switches, Yoshis and the likes, are the colors of the SNES Logo being used throughout the game. When mastered, the Cape gives players the potential to fly through entire levels. 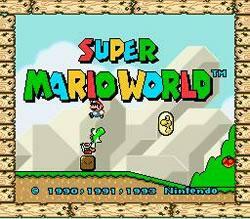 Top 200 video games of all time Super Mario World was ranked 47th in the GameInformers. In order to finish the levels, there are multiple ways to choose from. 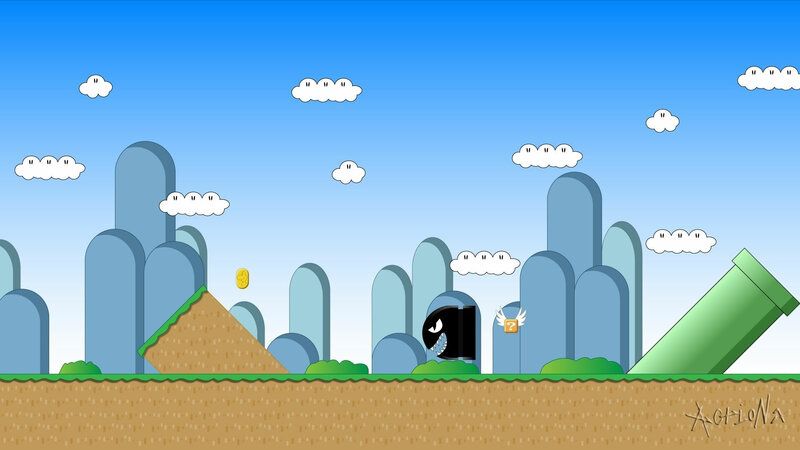 Using Star Roads etc., the player could be able to complete this game by playing only 15 levels. This is first seen as a bundled title with the launch of the SNES. The game Super Mario World was released on Wii's Virtual Console last 2007 years after its initial release in North America. Months after the game being released in North America, a TV Show based on Super Mario World was released and it is produced by DiC Entertainment. Super Mario's Wacky Worlds, this is a version of Super Mario World that was planned for the Philips CD-i, the company to publish this would have been NovaLogic, yet, this was cancelled during development most probably because of the ill-fate of the Philips CD-i. Super Mario World - Cheats in Nintendo Power Vol. 44 incl. Donut Secret, Vanilla Secret and Vanilla Fortress.